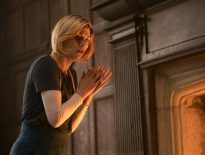 Exclusive: 10% Off for DWC Readers at New Doctor Who Online Shop! The shop’s a bit special, though I say it myself: the focus is on antiques and collectables from 1963 onwards, so there’s lots of stuff from the ’60s, ’70s, ’80s, and ’90s. As far as I know, no one else carries such an extensive range from classic Who (though there’s a fair amount of nu-Who stuff there as well). You get 10% off your first order! To access this, use the “contact us” form at the bottom of the pages on the website and say that you saw the website on the DWC. I’ll then refund your 10%! 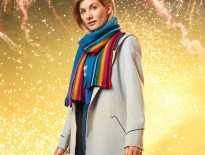 Unrivalled range of Doctor Who merchandise from the classic series, from William Hartnell to Sylvester McCoy, plus a big range from the wilderness years. And the aforementioned nu-Who merch too. No rip-offs. Items are described warts and all; no profit’s made out of p+p; fair prices – and they’re lower than usual for things like DWM back issues and the Target books. Almost the entire range of the Target books, in lots of different editions, including the Virgin blue spine ones and first printings. Almost all back issues of Doctor Who Magazine (nearly all at £2.75 each plus p+p) and Doctor Who Weekly. 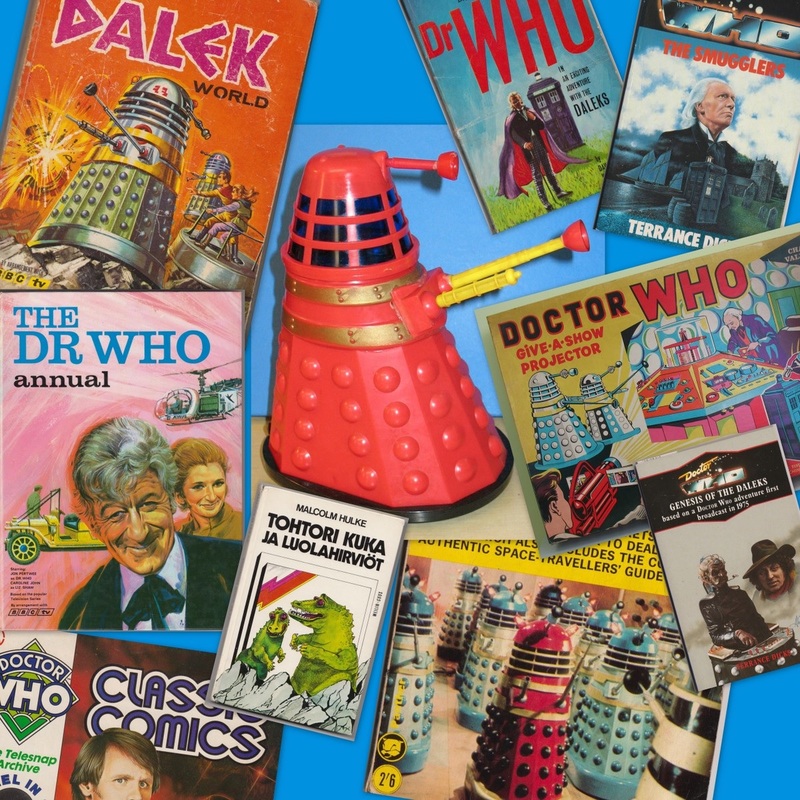 The Doctor Who, Dalek, and K9 annuals from the ’60s to the ’80s. The original novels: Virgin’s New Doctor Who Adventures and Missing Adventures, and the BBC’s Eighth Doctor Adventures and Past Doctor Adventures. Rare, very rare, mega-rare, giga-rare, and non-very-rare-at-all antiques and collectables, including the Dapol and Denys Fisher figures; foreign language Target books; Doctor Who Classic Comics; the original ’60s editions of the novels; the fruits of ’60s Dalekmania; ’70s promotional items from Weetabix, Ty-Phoo and Sugar Smacks; Radio Times with Doctor Who covers from the sixties onwards; the scripts books; and autographs (carefully screened to make sure they’re genuine). 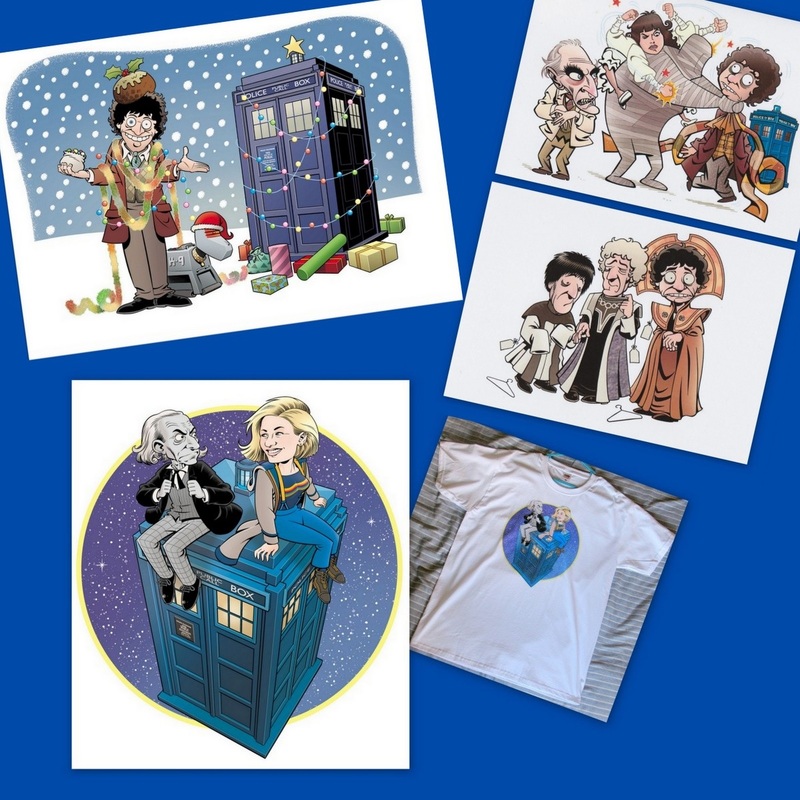 Original merchandise produced to raise funds for Bedford Foodbank: Doctor Who Christmas and birthday cards, mugs, and William Hartnell/ Jodie Whittaker T-shirts. Good, eh? Do hope you can come along and have a browse. Thanks for reading – and apologies for bombarding you with this advert! ← What Did You Think of The Witchfinders?